There are many potential best versions. Get ready for many offerings. Curiously, I heard the chamber version live in St Petersburg, at the Glinka Capella, and it was a visiting Scandinavian student ensemble (from Norway, though). 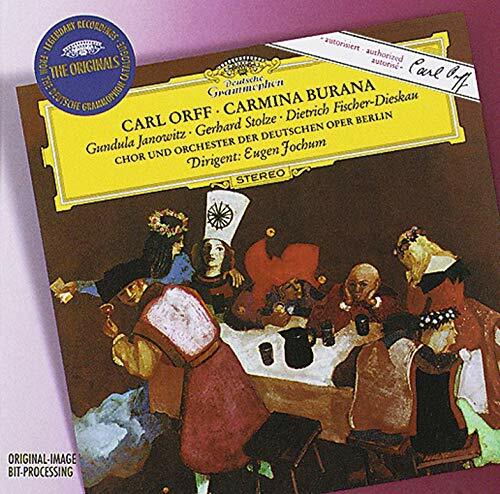 ...because it has Dietrich Fischer-Dieskau (Ego Sum Abbas Cucaniensis) and the incredible Gerhard Stolze as the roasted swan in Olim lacus colueram. I prefer Slatkin, Blomstedt, and Jochum in the orchestral version. I'm fine with any of these three myself! This is the killer version for sure. I just re-listened to it last weekend, played it twice through because I could. There are two that I rate as top and I prefer them over the Jochum. You'll note that both companies rate these as 'Great Recordings' and deservedly so. 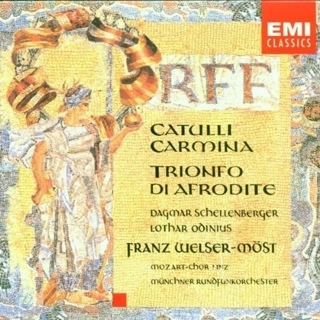 It's certainly one of the best vocally (I agree about La Lucia! ), but I feel other conductors have a better handle on Orff's instrumental style and tempo markings. 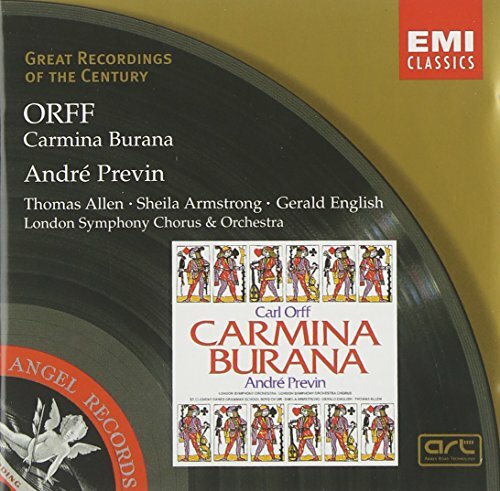 Andre Previn and Eugene Ormandy, surprisingly, come very close to ideal tempos and style. I've only heard the Jochum recording on radio broadcast, but what impressed me is its simple joy and exuberance. They're having the time of their lives! That alone makes it a favorite of mine. I hope you don't mind if I ask for one more suggestion. 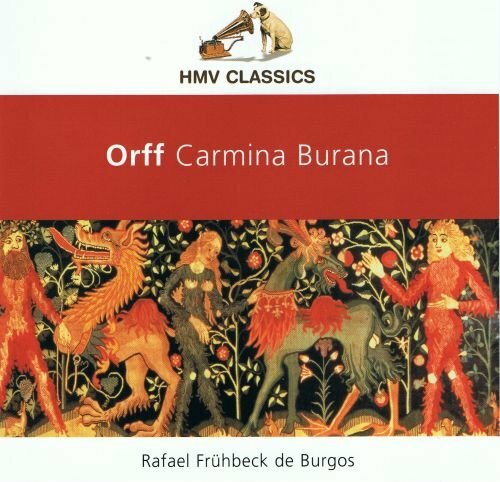 I would like to order, in particular, Carl Orff's Carmina Burana (this time it is for a gift) but don't know which particular CD I should choose. Is there / are there any obvious choice(s)? Amen to what Sarge says! 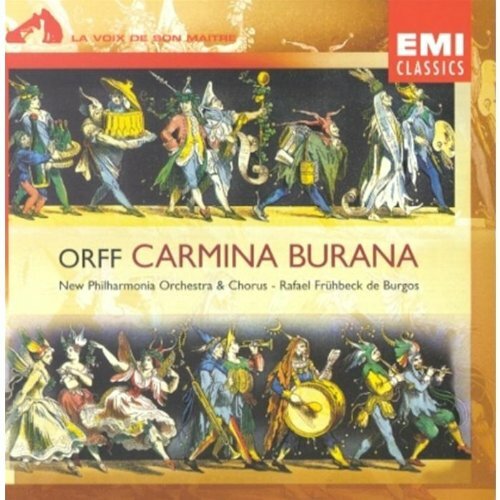 Available here (and also in the music of the 20th C. box) - the Frühbeck de Burgos is the one I have. I would be interested in hearing how others, who may know several recordings, like it. On the whole, I think: none. Over the years, I have participated in two performances of the piece, and sat in the audience for a third. I find it one of those works which is exciting to take part in, but it strikes me as rather indifferent as a piece to listen to. 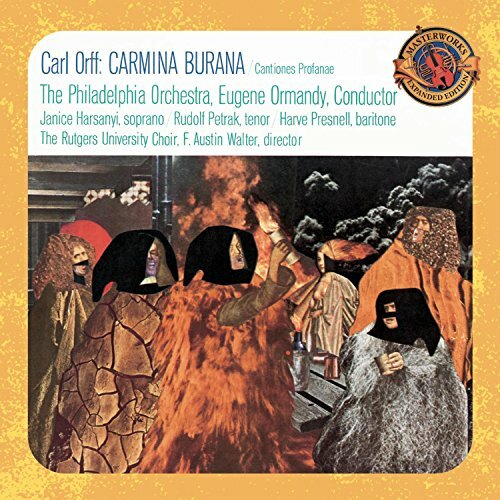 Now, I am open to that reflection being changed, if I find The Right Recording, e.g., however, I don't know that it is reasonable to expect any recording to rival the rich experience of being in the orchestra (or in the chorus) as one of the executants of the piece. I know, I just broke the rules a bit.